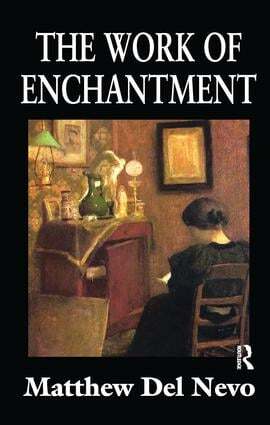 The Work of Enchantment suggests that it is a lack of "enchantment" in rich, developed countries that causes soul-starved Westerners to experience mental (and sometimes physical) illness. Del Nevo argues that this "enchantment" is most often experienced in childhood, but can also be found in adulthood, particularly through art. However, adults must cultivate within themselves the ability to appreciate art by reading, listening, and gazing-activities often misconceived in advanced industrial societies. Del Nevo describes the framework of enchantment and its philosophical and historical roots. He then concentrates on the work of enchantment within literature, considering what enchantment might entail taking the works of Proust, Rilke, and Goethe as examples. Del Nevo shows how a sense of enchantment forms within and between art works, using his literary examples, as well as between the work and the audience. The reader will learn along the way that enchantment may be found in the power of words, as an expression of the desire of the soul, a compliment of melancholy, and in art that points to something beyond itself. Enchantment may be found in many places, ranging from philosophy, religion, and psychology to sociology and culture, but here Del Nevo focuses on literature. His audience is people who are searching for something beyond money or glamour-perhaps the meaning of art and culture. His focus on literary masterpieces such as the Duino Elegies, Remembrance of Things Past, Wilhelm Meister's Journeyman Years, and others will make it of interest to those in cultural studies. Well written and engaging, and accessible to non-specialist readers, this unusual work in philosophy and aesthetics is free of jargon and complicated verbiage. Inspiring and enlivening, it is, in the author's words, "a stirring call to idleness."